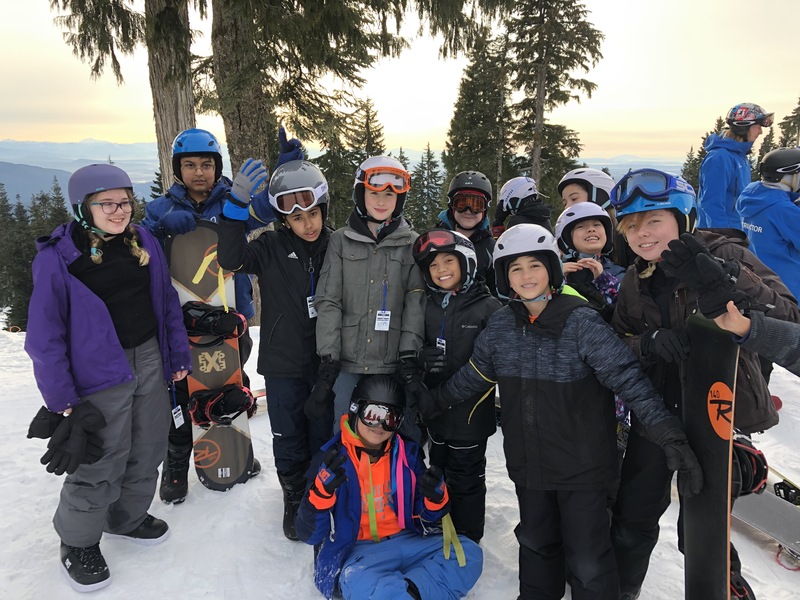 The grade sixes completed their annual ski and snowboard lessons at Mt. Seymour. With most of the students heading up to a mountain for the first time, it was fantastic to see their courage, persistence and humour while learning this life-long skill! From total beginners on Day1 to riding the Mystery quad chair on Day 3 or 4, their improvement was impressive! Hopefully, these lessons will turn into a hobby that they can enjoy into their adulthood. A special thank you to our parent chaperones: Mike MacPherson, Ravi Kajla, David Grant, Janey Enmil, Julie Hanna and Craig Hanna. Your support and encouragement throughout the 4 weeks are much appreciated by all of us. Memorable trips like this don’t happen without amazing parental support. Thanks to ALL the parents who supported our Grade 6 Ski and Snowboard Program!